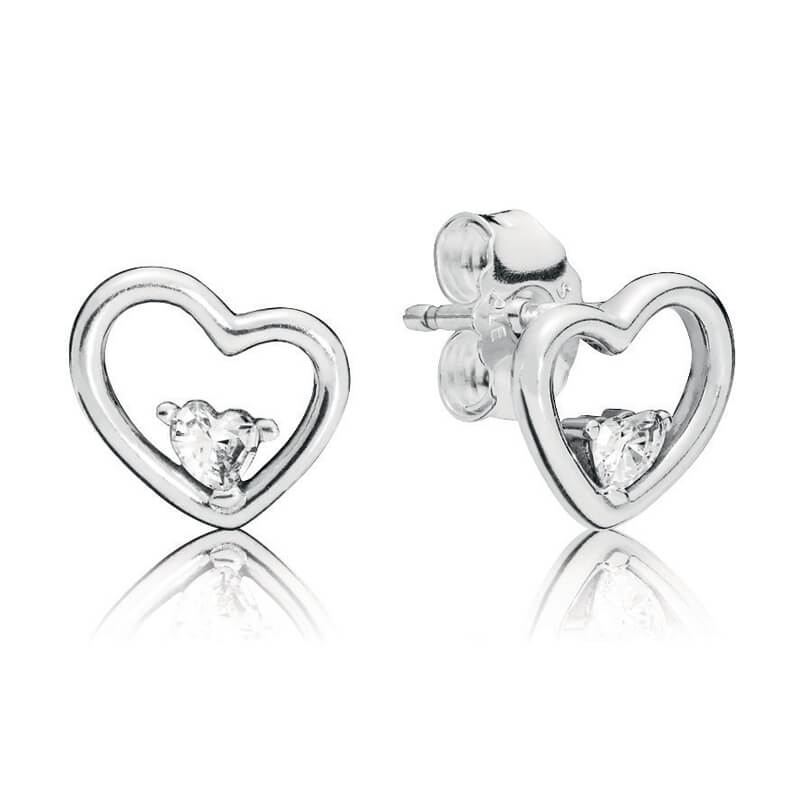 PANDORA Hearts of Love Stud Earrings. A contemporary twist on the heart shape, these alluring sterling silver earrings are the perfect update to any collection. Complete with a single glittering stone, they'll serve as the perfect reminder that love always comes from within.